This en-suite double room offers an invigorating view onto the colonial-style, landscaped garden and offer the utmost privacy. Here you relax and feel welcome while enjoying the splendid view. The artworks in this room, as well as throughout the house, speaks of a varied taste in art that continually delights the beholder. Scanning the majestic Northern Drakensberg mountain range, the KhayaNdlovu Manor House wooden decked terrace offers a sweeping panoramic view, which will leave you breathless! 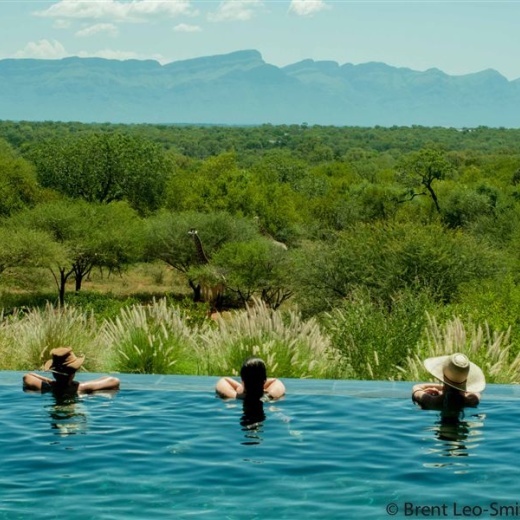 KhayaNdlovu is situated in the northern corner of the big game Blue Canyon Conservancy, a stone’s throw from the Kruger National Park. KhayaNdlovu Manor House – more than just a “game lodge experience”. Luxury is elegantly under stated offering an external and a stylish internal dining area, two lounges with DSTV. Free uncapped Wi-Fi is also available. Five comfortable colonial style bedrooms offer a choice of single or king size beds, all elegantly draped with spacious mosquito nets. Each room overlooks the landscaped garden, which provides a playground for the resident monkeys, abundant squirrels, tortoises and a host of chattering bird species. Whilst the sun sets on a dreamy day, sip on a sundowner chosen from our well stocked bar, before enjoying the four course dinner offered every night. As South Africa is home to a host of different cultures, our trained chefs provide a tempting sampler of the rich assortment of culinary traditions. Special requirements are catered for. Retreat to an intimate haven of relaxation and indulge in one of the many treatments offered by our mini spa. 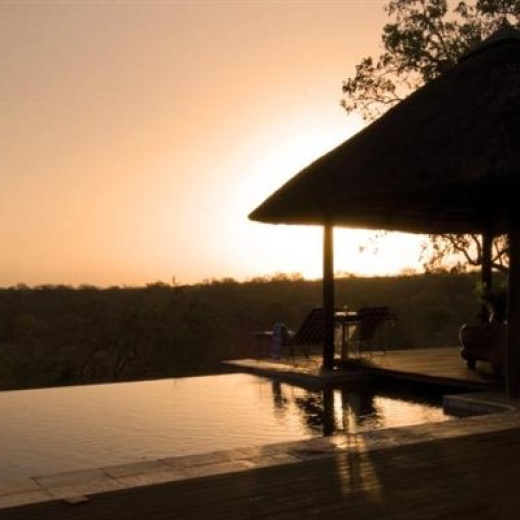 Listen to the sounds of the African bush whilst our trained therapist spoils you rotten!